Original bars and culinary spaces. Signed Jaime Beristain with a vintage touch. 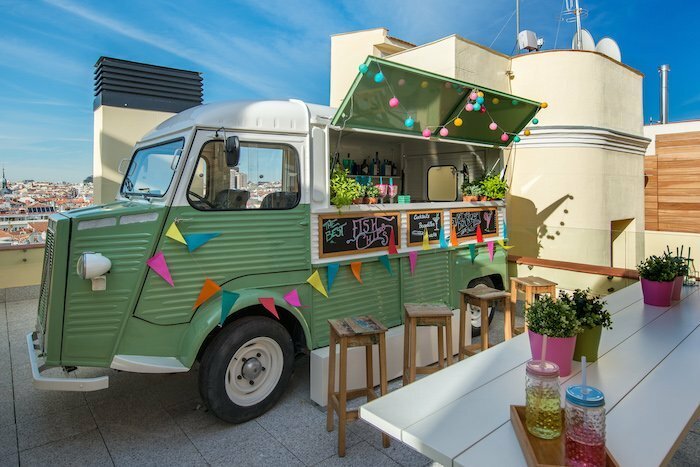 Roof terrace with a food truck providing drinks and snacks. Different, fresh, original, fun and full of original nooks and crannies. The Vincci The Mint offers you a new kind of accommodation in Madrid: a contemporary hotel on Gran Vía, designed by Jaime Beriestain, rooms and suites full of services, modern cuisine in surprising settings, a roof terrace with a view of Madrid's skyline... A new hotel in Madrid created for restless spirits, creative minds and modern travellers. 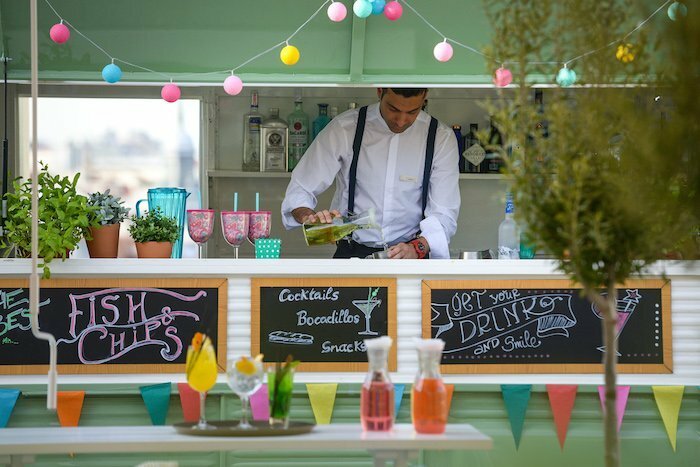 Create your own experience and turn your Madrid getaway into something unique. 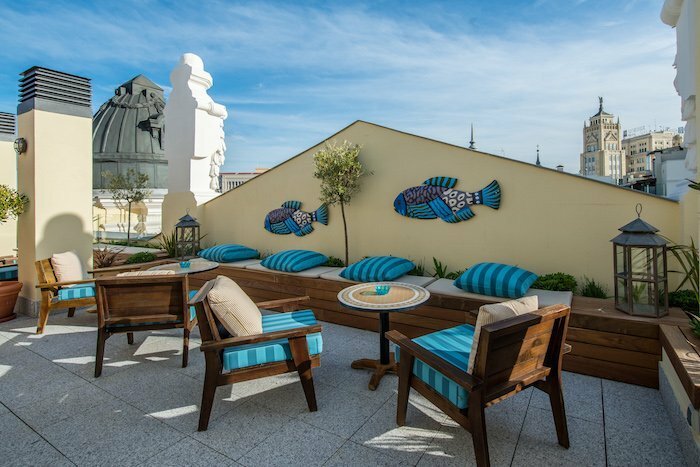 Treat yourself to designer accommodation in Madrid at the lowest price online. Always book the Vincci The Mint here, on the official web site for Vincci The Mint. Viaja. Vive. Vincci. Check in across a bar desk.